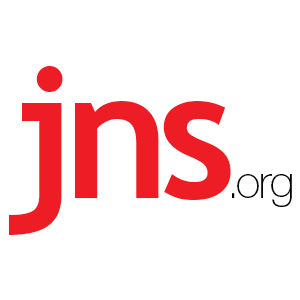 US Jewish Leaders Mark Israel’s 70th Anniversary With President Rivlin - Breaking Israel News | Latest News. Biblical Perspective. More than 100 Jewish community leaders with the American Jewish Joint Distribution Committee, a humanitarian group working in more than 70 countries, met with Israeli President Reuven Rivlin at his residence in Jerusalem to mark the 70th anniversary of the state of Israel and to recognize the organization’s contribution to the Jewish state. “We are honored to join President Rivlin and celebrate seven decades of Israeli independence and the hundred-plus-year commitment of JDC, and diaspora Jews, to empower Israel’s most vulnerable and provide opportunity for those on the margins of Israeli society,” said JDC President Stanley Rabin, a prominent Jewish leader and philanthropist from Dallas, and JDC CEO David Schizer. At the meeting, the JDC presented Rivlin with a recently discovered JDC archival document, a 1920 letter from a cousin of the president’s father, Rabbi Moshe Rivlin, requesting JDC assistance for matzah and food for needy Jerusalem Jews at Passover. In Israel, the JDC develops social services in conjunction with the Israeli government, the local authorities and nonprofits, and other partners for the benefit of Israel’s most vulnerable populations: children at risk, the elderly population, the unemployed and people with disabilities.